The background of Thrifty Car Rental is slightly complicated. Thrifty Car Rental itself was founded as a private company in America in 1958. In 1990 the American company Chrysler formed a holding company called Dollar Thrifty Automotive Group, which then bought two car rental agencies: Thrifty Car Rental and Dollar Rent a Car. In May, 2002, the South African and Namibian franchises for Thrifty Car Rental were bought by a company called Springs Car Wholesalers (Pty) Ltd, which itself is part of a vehicle management company called The SAFY Group. Thrifty Car Rental South Africa is now a wide spread option, with Thrifty car hire services available in all major cities, as well as all major airports. Where is Thrifty Car Hire Located? Whilst Thrifty Car Rental does have many branches around South Africa we were unable to find an address marked as head office, or even a head office address for The SAFY Group, Thrifty’s franchise holder in South Africa. However, the Thrifty Car Rental website does list many contact email addresses and phone numbers, so if you want to contact them directly, this is probably your best bet. 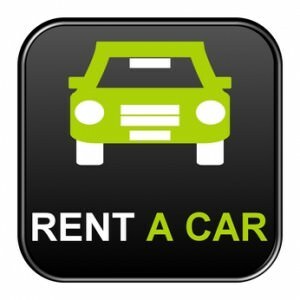 Which Services Do Thrifty Car Rental Provide? 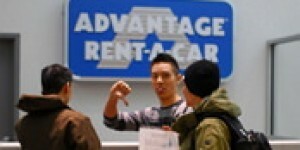 Thrifty Car Rental primarily rents cars, though a new van rental section of the company has just been launched. They also provide chauffeur services, should you wish to be driven rather than driving yourself. You must be 21 to rent a vehicle with Thrifty Car Rental, and hold a license that has been unendorsed for at least two years. We assume that once you start the rental process with Thrifty that you will be offered options to add insurance, to add extra kilometres to your daily limit, and maybe even to add extras such as GPS or child seats, since this is what most car rental agencies offer. However, we can’t tell you for sure, since this info wasn’t listed on the Thrifty Car Rental website. How Are Thrifty Car Rental’s Customer Reviews? The customer review website Hellopeter lists 58 reviews of Thrifty Car Rental posted by consumers over the last twelve months. Of those, 48 were negative and 10 were positive. Negative comments concerned poor customer service, unexpected charges on bills, and even complaints about dirty cars. Positive reviews cited good customer service, and an efficient refund service. Interestingly, one of the reviews was negative, but after a good response from Thrifty customer service was then changed to positive. The numbers might not say everything though, for a couple of reasons. Firstly, of course people do tend to complain more than compliment. And secondly, 58 is quite a small number of reviews for a company to have. How User Friendly is the Thrifty Car Hire Website? The basics of the Thrifty Car Rental website were solid. Each vehicle class is explained, and the booking form is easy to find. However, we did think that there could be a little more information on the site. It would be nice to see a list of the optional extras that are available, such as different kinds of insurance, or the ability to rent accessories such as child seats, and we couldn’t find this information. This is something that would really help customers shop. 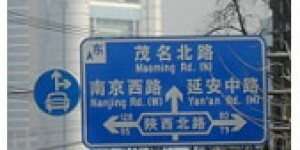 The inability to find a physical address for the company was a little strange. However, maybe like many companies these days, Thrifty just prefers to communicate with customers online. The Thrifty Car Rental website made it easy to choose the correct vehicle to rent, but it would be nice to see some of the additional services offered as well, since customers like to know what they can get. Thrifty Car Rental offer a very wide range of vehicle choices, meaning you’re likely to get the kind of car that you need. They do offer services in all main cities as well as major airports, so pick ups and drop offs should be convenient. We’re unable to offer you information about additional services or insurance options, since the Thrifty website didn’t provide this. Consumer reviews aren’t the best, but with such a low number of reviews posted it’s tough to really judge Thrifty based on them. However, if you’re renting a car it is always a good idea to get a few quotes from different companies, since prices can vary by quite a bit. You’ll want to know that you’re getting the right car at the best price, after all!